Click here to go to the main website of St. Joseph’s Seminary to purchase tickets or a journal ad. Credit card payments are gratefully accepted. We ask for a $25 offering per ticket. 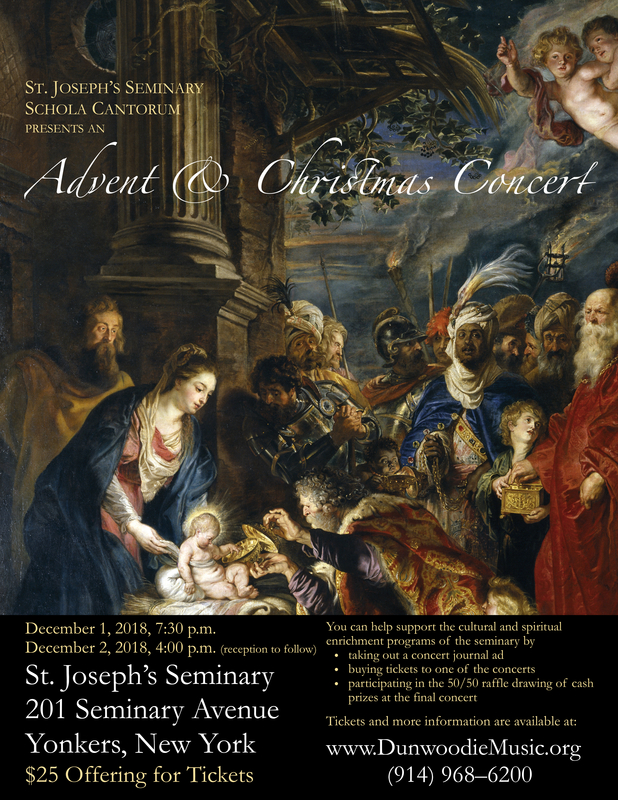 Tickets for the concerts are also available at the seminary’s main office.